In college, he took $600 in "leftover" student financial aid money and a Sear's credit card and started a mobile DJ company. After graduating from the University of Minnesota with a business degree, Tom went to look for a "real" job. After more than a dozen job rejections, he took that little DJ company and turned it into one of the largest and most awarded DJ entertainment services in the Upper Midwest. 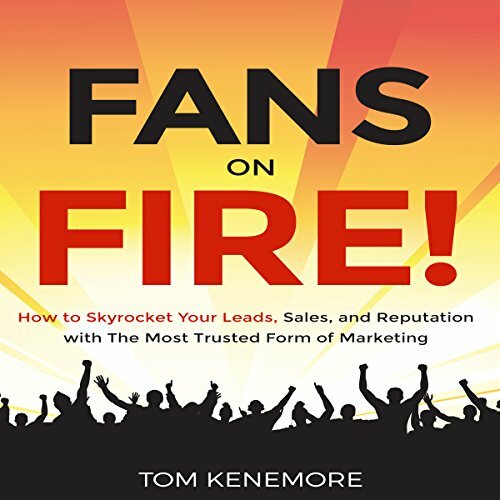 Under Tom's leadership, that company received a dozen customer service awards including being named one of the top wedding services companies nationally. So far Tom has started and owned six small businesses and sold millions of dollars in products and services. That's over 25 years of small business experience, and he's never had more than a summer job for regular employment! Today Tom's passion is speaking and education in entrepreneurship, small business and marketing. He also enjoys speaking to groups of high school and college students about taking the entrepreneurial path rather than traditional employment. Minnesota is home for Tom, but he spends much of his time traveling in the "Beast", a 40' RV.